These two are such an adorable couple! 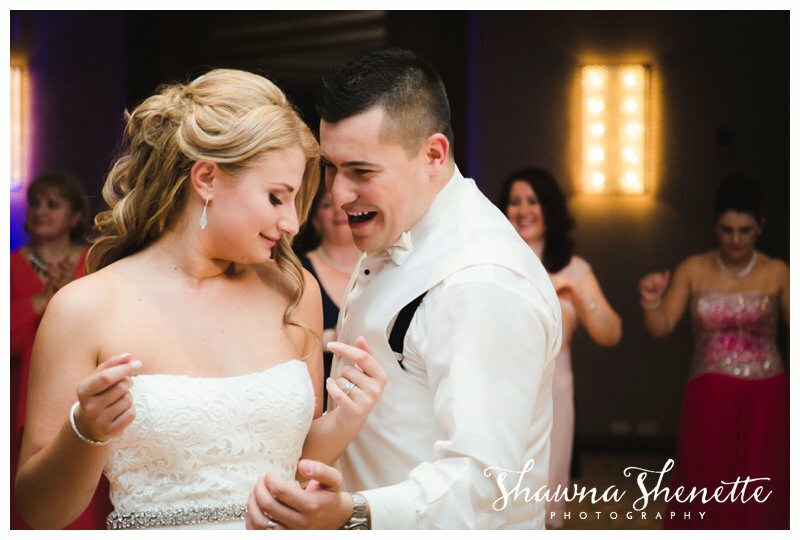 Marissa and David are young and in love, and their wedding day was the epitome of young love! They met when they were just 17 and 19 years old while working in the same grocery store! As a newly married bride and groom, they couldn't have asked for better weather for outdoor wedding photos, and the fun and abundance of love from friends and family didn't stop the entire day. Marissa looked stunning and she was radiant throughout the entire day. David looked handsome and was the sweetest, most caring groom. The dance floor was full from the minute their Chocksett Inn reception started, and it was evident that everyone had a blast! This was definitely a wedding Marissa, David, and their friends and family will remember with smiles on their faces. It was such an honor to share their wedding day with them. I can't wait for them to see some of my favorite wedding photos! 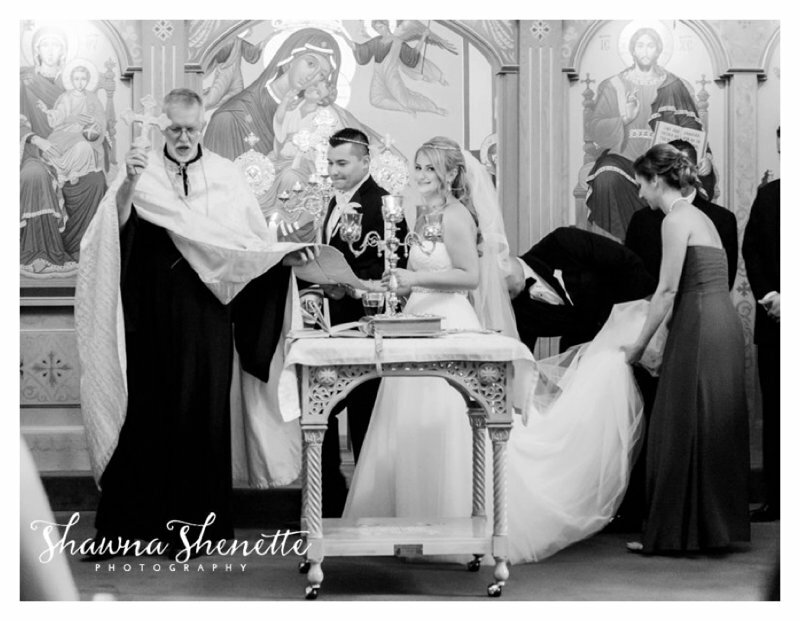 I am so thrilled to share this wedding with you! This couple was so full of life and energy. From the ceremony in the elaborate Worcester Albanian Church, to their light-hearted and love-filled formals on the Boston Common, to the non-stop dancing by everyone at their reception…add in some gorgeous shoes, and well, this is definitely one of the most fun I’ve had documenting a couple’s wedding day. Everything went according to plan…even barely escaping a downpour of rain on the Common while photographing their bridal portraits! This was just a FUN day, and I am thrilled that I was able to photograph it for Esi & Ervin. 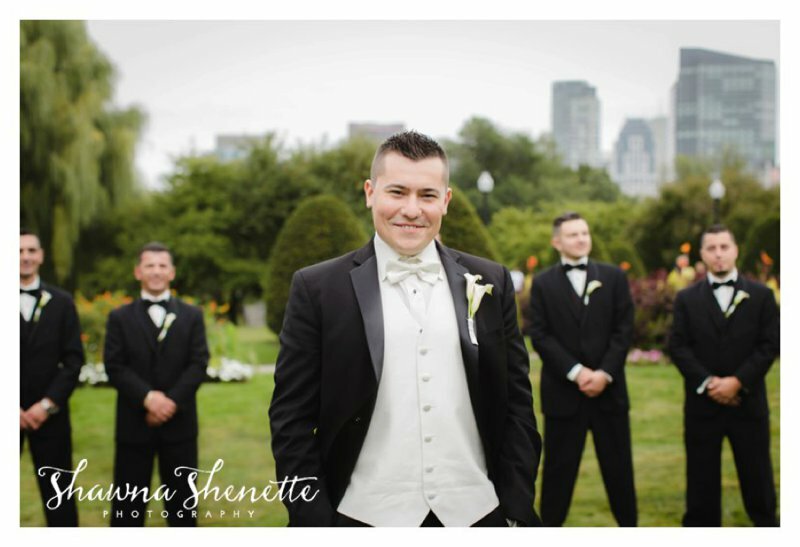 Boston Wedding Photographer | The Best Wedding Colors, For Sure! I just photographed this wedding last night, but I couldn't help myself from editing a few of the bride with her bridesmaids as I was uploading and backing up their cards. The color combo was so perfect for their intimate wedding. The light pinks and gold made it soft and romantic, yet luxurious and modern at the same time. The combination is just so gorgeous in photos and in person! If I were to get married again, I'm pretty sure this would be the color palette for my wedding. Adam + Lindsey were married on a gorgeous summer day at Wachusett Mountain. Remember their awesome engagement session? They truly had a dream wedding day that showed their love for one another. The views from the top of the mountain for their first look were spectacular, too! Such a fun and loving couple surrounded by family and friends who were more than happy to help them celebrate by going to the top of the mountain on the ski lift with a beverage after the ceremony. Speaking of their ceremony, I loved the special touch of the "argument box" where each put a special note in the box, explaining their love, along with a bottle of wine. The box is sealed, and when an argument occurs, they unscrew the box, crack open the bottle of wine, and read the letters, reminding them of the love that they shared on their wedding day. Pretty cool, right? I loved sharing this special day with you, Adam + Lindsey!!! 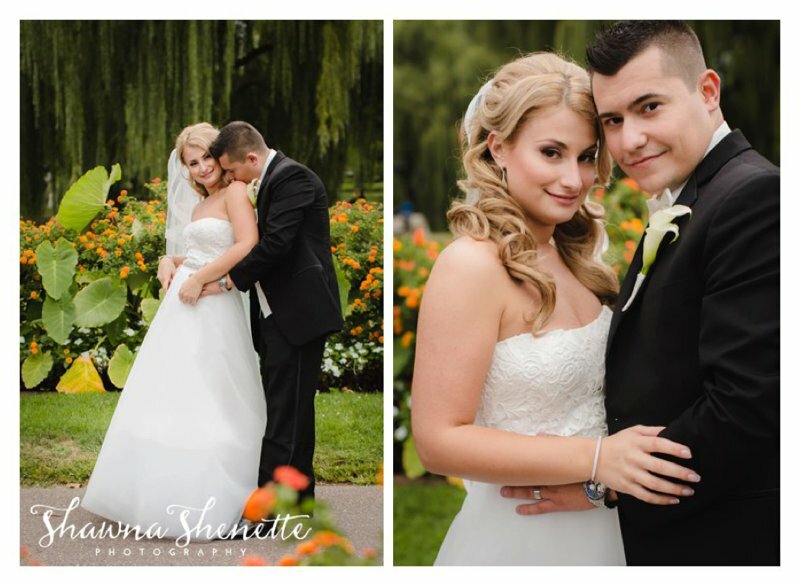 It was a perfect summer day in July, and it couldn't be more fitting for this perfect couple! Dawn and Steve's wedding at The Chocksett Inn in Sterling, MA, was everything you'd want in a wedding. Lots of romance, love, family, friends and fun filled the day. Their venue was absolutely beautiful, and it provided the perfect backdrop for all of the photography I had planned for their day. I just love all of the special touches throughout the day, too, from the special gifts Dawn and Steve exchanged before seeing each other for the first time to the special heart sewn into Dawn's wedding dress to honor her cousin. 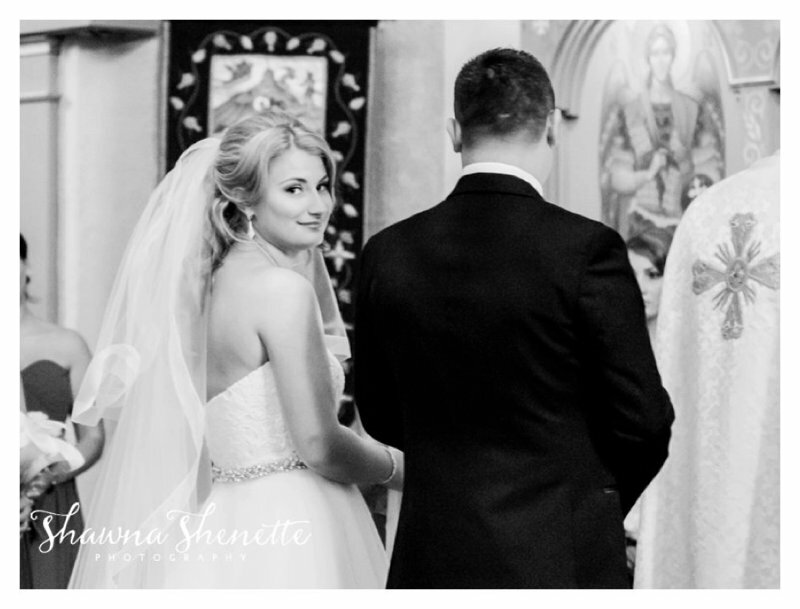 Dawn and Steve wanted to celebrate their love as a couple as well as all of their family and friends, and I think they did just that with the romantic feel they were trying to achieve...perfectly! So, where did we leave off in Wedding Photography Timeline Part One? Oh, yes, you've made it to your ceremony location and you were very patiently waiting for THE moment to walk down the aisle! How could I forget? While you're relaxing and having a sip (or a couple sips!) of champagne, I'll be checking out the best locations for me to stand to get the best shots, without being obtrusive, during the ceremony, if I haven't shot here before. I'll also be taking photos of guests as they arrive and more photos of the bride and groom as they begin to realize what they are about to embark on. Ooh, I love these photos of deep thought, last-minute emotions before you walk down the aisle. Every ceremony is unique, so we will chat about the specifics of yours before planning your photography timeline. You may be having a quick, but still meaningful, non-religious exchanging of vows that takes 15 minutes, or you may be having a ceremony filled with religious traditions. Whichever you choose, please check with your officiant to determine an approximate length so that we can plan your timeline accordingly. If your ceremony and reception are at different locations, you have to factor in travel time. And remember, always add 25% extra for traffic; if it's a holiday weekend or you're traveling into the city, add even more. If your photography location is on the way to reception, plan a little extra time to park and for everyone else to park and make their way to the location. If you did a First Look, we will need about 30 minutes to get some shots with the grandparents, parents, a few more full bridal party shots, and a few more bride and groom shots. If you didn't do a First Look, plan on spending a good 60 minutes taking photos, and please don't expect to attend your cocktail hour. Also, add on any travel time to the reception location here. Also, keep in mind that even if your ceremony and reception are in the same location, it will take some time to get everyone gathered together and actually start taking photos. Again, it's a great idea to assign a responsible close friend and give them a copy of your shotlist with timing to help make sure everyone is where they need to be. 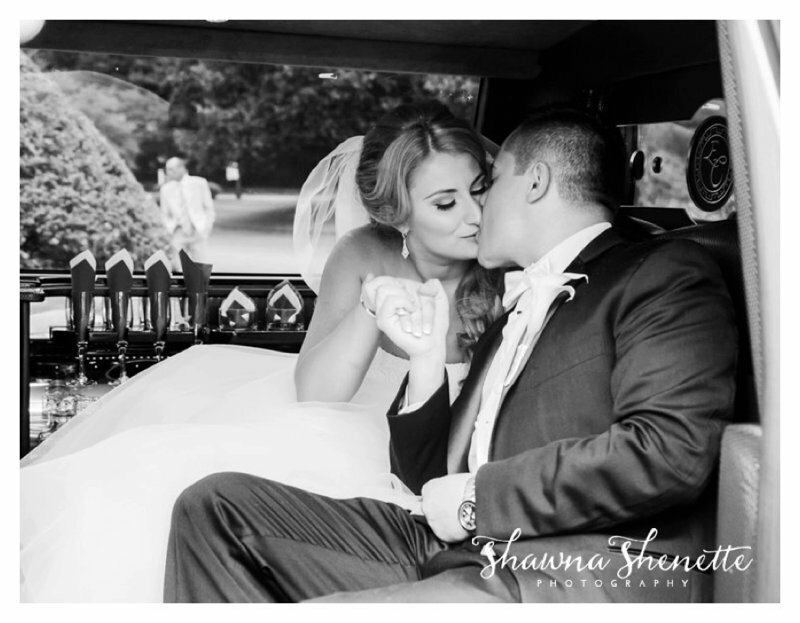 And if your ceremony and reception are in different locations, keep in mind that it takes a bit of time to get everyone into the vehicles, parked, out of the vehicles and to the photo location. And by this point in the day, everyone is ready to get into the reception and have some fun! If you've hired a second shooter, they will help me with some of the post-ceremony formals for a small chunk of the time, and then, once everything is in order, she will head off to take some shots of your guests at cocktail hour and of your undisturbed reception ballroom. Let's face it, you probably won't have a chance to see all of your placecards, floral arrangements and table numbers that you planned so carefully until the room is filled with guests. So, it's always good to try and plan for one of us to take a couple shots. If you haven't hired a second shooter, and your reception and ceremony are at the same location, I will try and sneak and take a few shots of your reception area before the cocktail hour is over. Of course, if there's any time at all left, I will try to get some of your guests enjoying cocktail hour. Now it's time to have some fun! 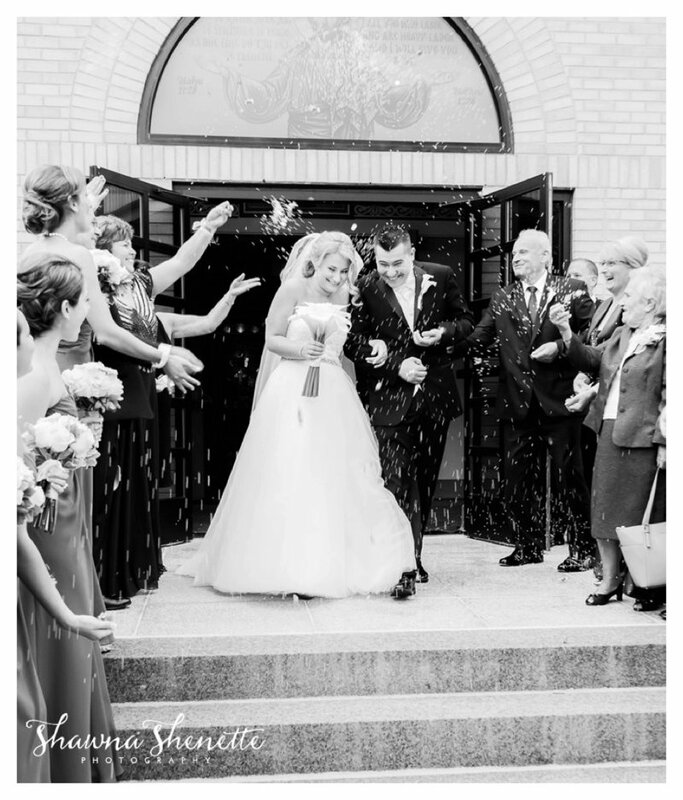 Most receptions will start with you and your bridal party being announced as you enter the room. Prior to this entrance, I will go around to tables or groups of people and take some fun guest photos. Once you're announced and you make your entrance, you will then go into your very romantic and special First Dance. Typically, the Maid-of-Honor and Best Man will give their speeches next, followed by the start of dinner. Again, prior to dinner being served, I will go around and take more group photos. Once dinner is served I usually stop the group photos for a bit, because let's be honest, I wouldn't want to have photos taken of myself as I'm stuffing a dinner roll in my face, so I highly doubt your guests would appreciate it either. Some venues will have you cut your cake after the salad course, some will have you do it after your first dance. I've seen it done both ways (and at other times), so it's best to check with your venue coordinator so that I can plan accordingly. Usually the coordinators are very good, and they will give me a heads-up that it's almost cake-cutting time, and I definitely appreciate this! 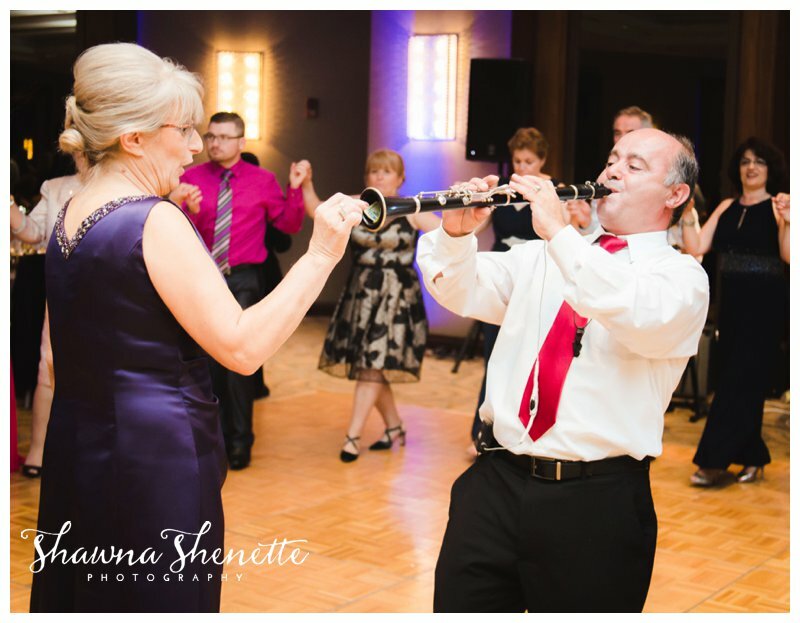 After dinner, the parent dances usually take place, and then the night of everyone dancing officially commences! 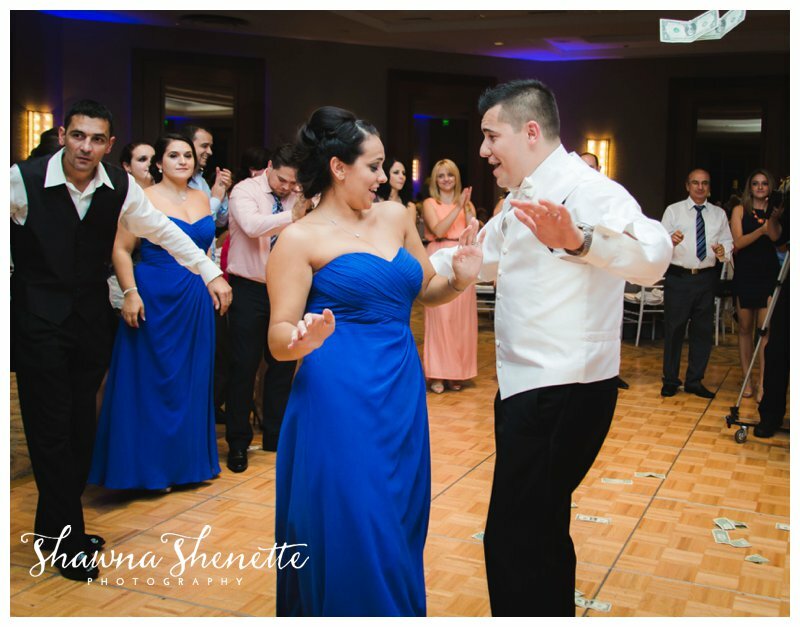 Please keep in mind that guests don't start dancing until about 90 minutes into the reception (30 minutes for First Dance and Speeches plus 60 minutes for Dinner Service), so it's best to allot 2-3 hours for your reception photography in order to get the cake cutting, parent dances, bouquet toss, and guests dancing captured. Many times, if I see an amazing sunset or a location too good to be true, I will steal the bride and groom away from the reception for a few minutes to take some extra special photos of just the two of them. These are always some of my favorite photos from the day! The two of you are relaxed and the idea that you're officially married is starting to sink in, so your happiness is through the roof! This is also the perfect time for using some special lighting techniques if we've entered into the evening hours. If you've planned a special exit as you say goodbye to your guests and hello to your honeymoon, we can definitely capture that for you! Some couples like to be showered in the glittery goodness of sparklers, while others like to drive off in an antique car. Whatever it is, it's great to get this captured in photos! If you haven't planned for me to stay until the very end of your reception, I have had some couples stage their goodbye so that they can get these images. It's not always ideal to get guests from larger weddings all outside at once, but it can work with smaller weddings or a smaller group of people. When it's time for the photography to end :(, I will come up and let you know that I have a few more minutes left and ask if there are any special photos that you'd like me to take before leaving for the evening. When all is said and done, you will have about 6-10 hours of photography for your wedding day. Six hours is usually sufficient if your ceremony and reception are at the same location. If you have a short trip between your ceremony and reception, 8 hours is a good amount of time. Ten hours is perfect for larger wedding parties and longer trips between the ceremony and reception. And that's about it! I know, it's a LOT, but don't worry! I ask lots of questions and then create your preliminary timeline with the best way to use your time with me. Then, once the preliminary blocks of time are set, I get a bit more detailed and do my best to keep everything on schedule. I want you to have the best wedding photos that you could possibly have, so I work very hard to make sure the timelines are realistic. My goal is to capture your day as it happens so that you can create gorgeous keepsake albums that help you relive the day moment by moment. Wedding Season in Massachusetts has officially begun! 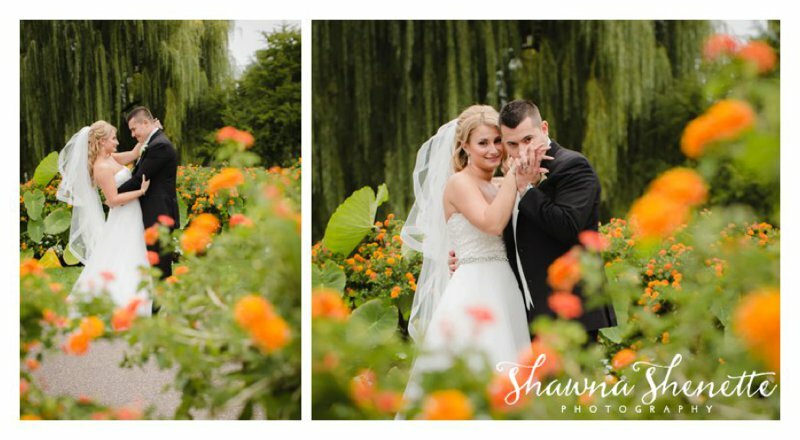 The greenery and flower blossoms are full of their vibrant colors, and the sun sets nice and late providing the perfect lighting for some gorgeous and romantic wedding photos. I'm in the midst of creating lots of Wedding Photography Timelines for all of my upcoming weddings, and I thought this would be the perfect time to offer all of my couples a few helpful tips to make their wedding day (and photography!) run as smoothly as possible. I really want to help you maximize your time with me, while still allowing you to enjoy every ounce of happiness of your day. My style of shooting is a mixture of capturing timeless portraits while documenting the events of the day. I want you to be able to look through your wedding album and remember all the details that you carefully took the time to choose, and I want anyone to be able to look through your wedding album and feel like they were there, enjoying all of the details and events that they might not see as a guest (like the first time the groom sees his bride in her wedding gown during their first look!). Because of my style, I photograph as much as possible earlier in the day. 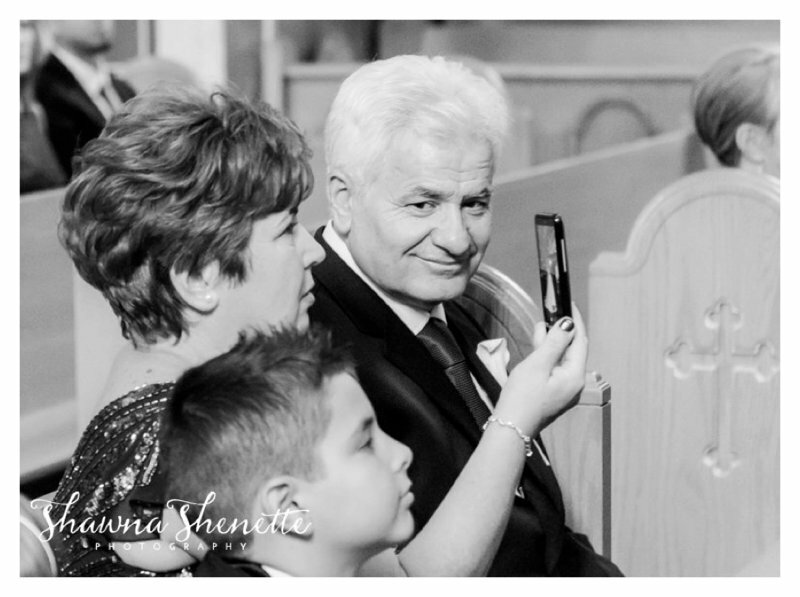 Once all of the details of getting-ready and the family portraits are complete, I can move on to documenting your day as it happens...and YOU can move on to enjoying every moment of your wedding ceremony and celebration as it happens! Some of my favorite wedding photos are the detail shots! This is the time when all of those decisions about flowers, the right shoes, the sparkly jewelry...this is when those decisions count! 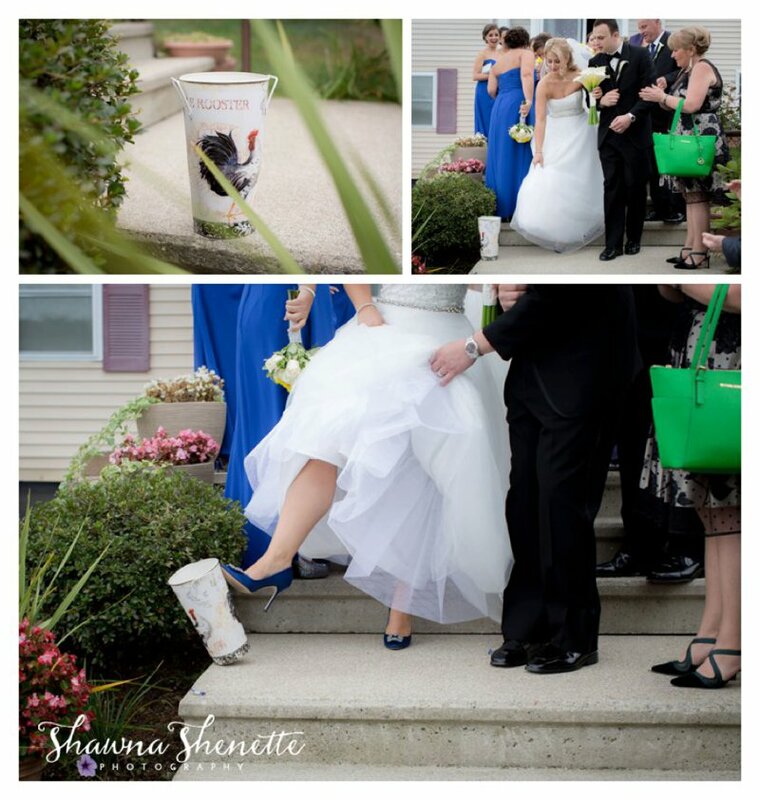 I will normally arrive about 3-4 hours before the ceremony starts to begin photographing your wedding details. I can do these at the church, in a hotel room, or wherever the bride is getting ready. Some things to have handy for when I arrive: wedding dress and veil (on a nice hanger is always so much better! ), shoes, jewelry, all of your wedding rings (engagement ring and both wedding bands), flowers, invitation, perfume, and any other items that are special to your day. And, it's always helpful to me to have all of the junk in the room cleared. I know everyone is usually crazy and running around, but just picking up the water bottles from the nightstands or plastic covers from the bridesmaids' dresses is extremely helpful. A good tip is to assign one of your bridesmaids to just do a quick clean-up before I'm scheduled to arrive! Now, it's time to show me that gorgeous hair and makeup and stunning wedding gown! Ideally, while I'm doing the detail shots, your hair should be done, and you should be in the makeup chair! That way, I can grab a few photos of you getting the finishing touches of your makeup completed. We'll then find the perfect location for you to slip into your dress. It's very important that you plan enough time for putting on your wedding gown. Some are very simple, but other dresses that have a lace-up corset or lots of pearl buttons can take 15 minutes or more to put on! Also, keep in mind, if you want your mom/sister/maid-of-honor to help you put on your dress, make sure that they've already had their hair/makeup done and they are dressed and looking their best, too! At this point, I'll usually sneak away with the bride for a few minutes to take some lovely bridal portraits. Once the bride is ready, if I don't have a second shooter and the groom is getting ready at the same location as the bride, I'll usually go check in on him and his groomsmen. All the guys should be pretty much dressed and ready to go at this point. I'll take a few photos of the groom putting on his suit, hanging out with the guys, opening a gift from his bride-to-be, and just document the fun he's having hanging out with the guys. First looks are amazing! Besides seeing each other for the first time on your wedding day, you get a few private moments to be alone and enjoy everything that's about to happen. And then you get to have some amazing portraits taken of just the two of you! Oh, and the other bonus? 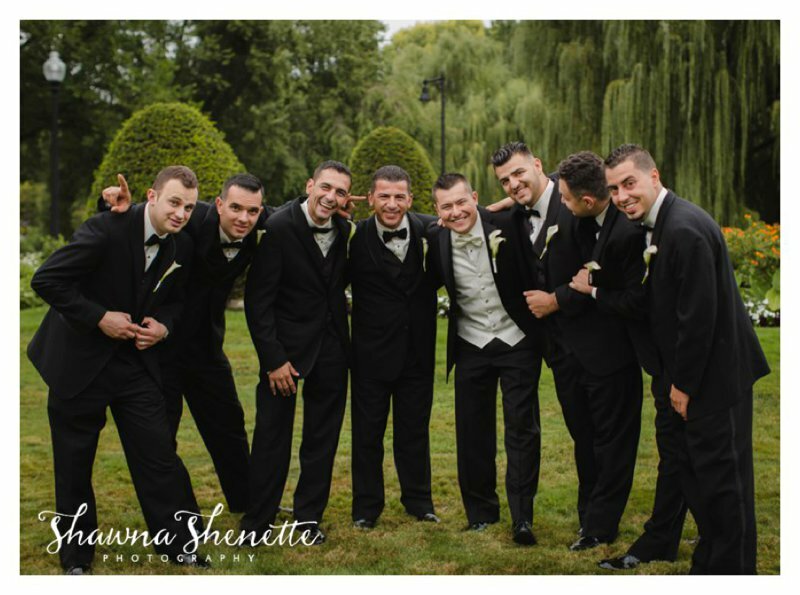 Because you've already seen each other for the first time, you can also take all of your bridal party photos now, too! And wait, there's even one more bonus - you get to enjoy your cocktail hour because most of your portraits are already done! One of the biggest misconceptions about the first look is that it won't be as special or emotional because the groom's first glimpse of his bride won't be on her way down the aisle! Honestly, I have seen plenty of emotions fly during the ceremony after first looks. It's the BIG moment! The moment that you've been waiting and planning for all of these months! That moment when you are officially getting married! You will still definitely feel it! 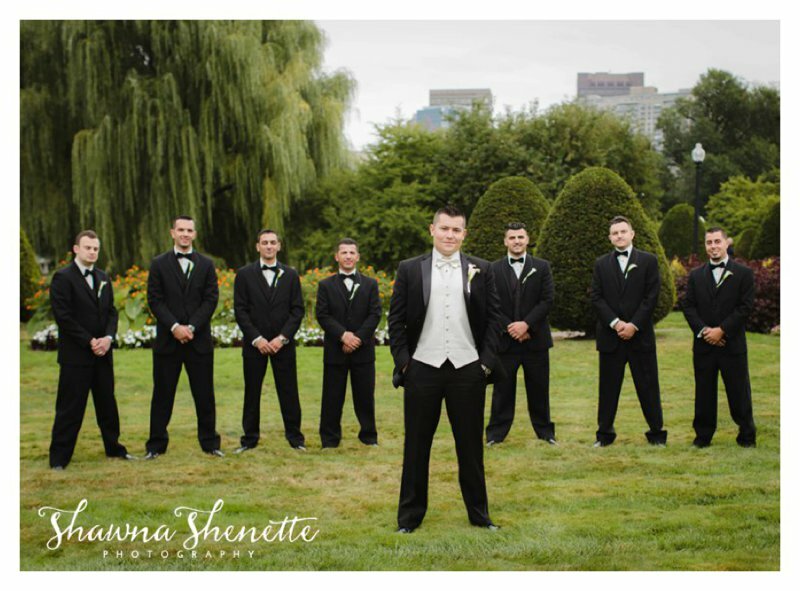 After your first look, we will go right into your bridal party portraits. 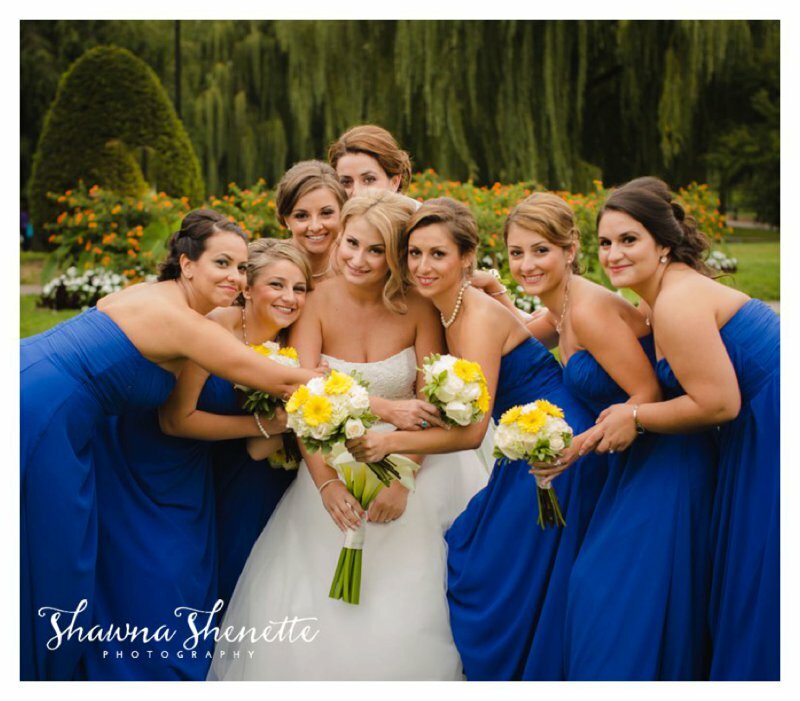 I highly suggest that you assign a bridesmaid or close friend to help gather everyone for your bridal party portraits. Since time is often limited at this point in the day, we really want everything to go smoothly and having everyone all over the place will just cut down on your portrait time. Not good, right? Once you have your final timeline, give your friend/bridesmaid a list of the people she needs to gather, and have her get them there 10 minutes before the specified time. Trust me - nobody will be mad that they have to wait, but you might be upset that you didn't get that special group shot you wanted! 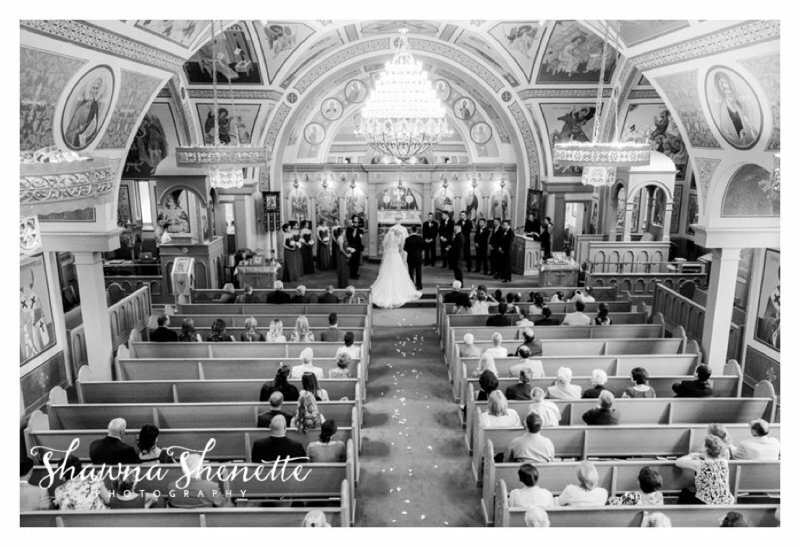 This is always dependent on how far away your Getting-Ready/Portrait location is from the ceremony location. If you are getting ready at the same location as your ceremony, we'll have a few more minutes for portraits, and you'll have a few more minutes to relax. If you have to travel, it's always safe to add about 20% extra travel time to your timeline. We will discuss this and adjust as necessary because there will mostly likely be traffic! Either way, I always like to give the wedding party a few minutes to relax before the ceremony, whether it's back in the hotel room, in the limo on the way to the church, or even in a private room inside the church. It gives people a chance to use the restroom, fix hair and makeup, have a quick snack and just unwind before the real fun begins! Also, if for some reason things run behind schedule, we can always use this time to catch up a bit. So, I think that's enough for Wedding Timeline Tips Part One. Hope you found it helpful, and be on the lookout for Wedding Timeline Tips Part II. I have been waiting to post about this wedding for weeks now! Well, I actually photographed this wedding back in August, but then the holiday rush started. So, why didn't I post it in January? Well, this lovely AND BRAVE bride went off to BASIC COMBAT TRAINING in Fort Jackson, South Carolina just a few months after getting married!!!! While there, she was assigned to the delta company, 2-39 infantry regiment, and she had very limited access to any communication with the outside world, never mind access to Facebook or my blog, so I wanted to be sure to post it when she could actually see it. It's the least I could do, right? 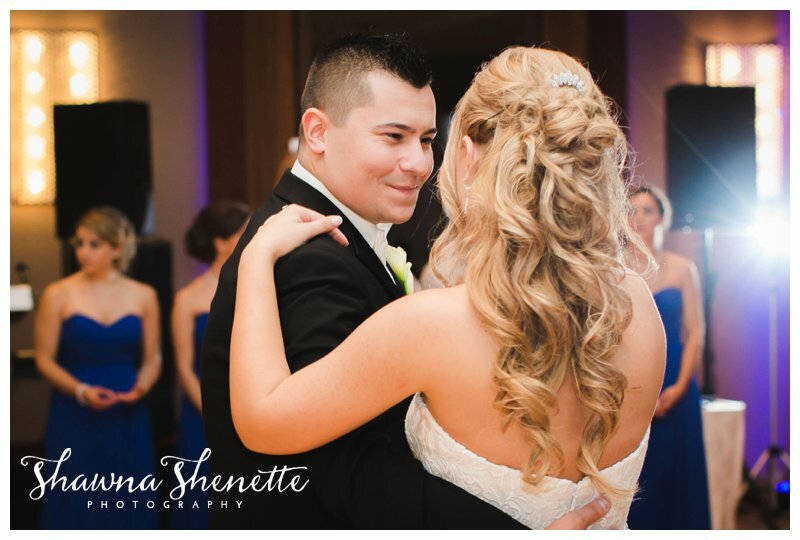 I really loved working with this couple! 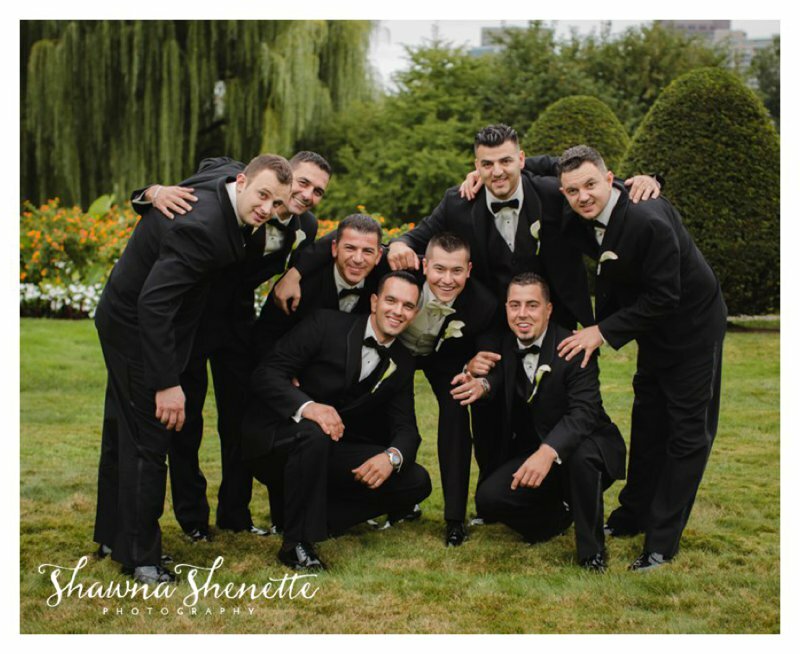 They are young and fun, and their wedding at Highfields Country Club in Grafton, MA was just beautiful. They had perfect weather, perfect sunlight for photos at the end of the day. You will see by their photos below how much they truly love each other. Okay, on to the wedding photos! There are lots and lots, so enjoy! 2013 was an amazing year for me because of all of YOU! Thank you to all of my wonderful clients this past year. It was truly an honor to meet and photograph so many new faces. And, of course, I love seeing so many familiar faces come back to see me year after year Wishing each and every one of you a fabulous 2014, and I hope to see you through my lens again very soon! Coral + Matt contacted me several months before to photograph their wedding, and while we chatted about their photography and wedding day plans over the phone and via email, I didn't get to meet them until their wedding day. Matt's originally from Massachusetts, and he still travels here often for work, but he and Coral call Maryland home. They are such a down-to-earth family and so easy to get along with that having our first meeting just a couple hours before walking down the aisle wasn't even a problem. They wanted romance and fun and their love for each other to show in their photos, and they wanted to make sure that the happiness of joining their families as one (he has two beautiful girls and she has one lovely little lady) was documented. 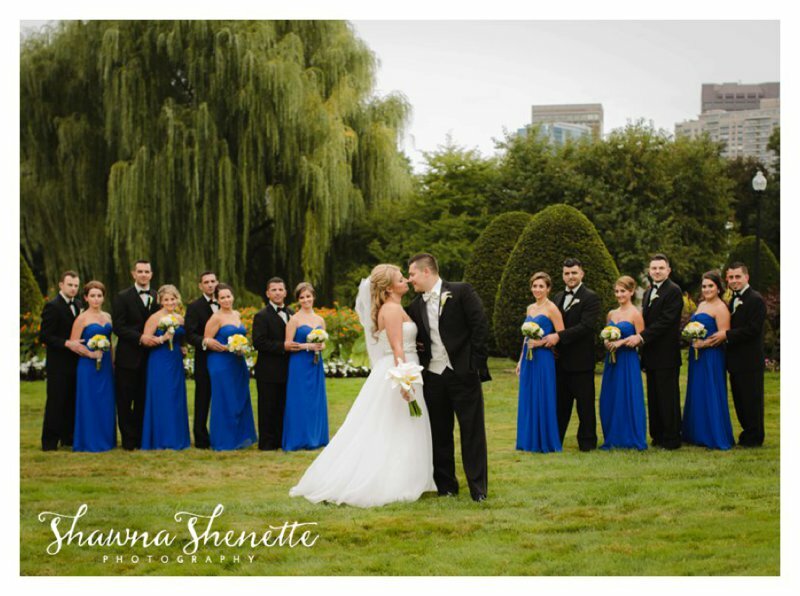 Their ceremony was set to be outside, and the weather in Bourne for Coral's "getting ready" photos was gorgeous: the perfect sunny and warm day in July for a Cape Cod wedding! But, the skies had different plans, and while we were on our way to the outdoor Ceremony site in Plymouth, it started to downpour...a lot!! I will never forget the phone call I got from Coral while trying to see through the sheets of rain hitting my windshield: "Shawna, I don't have a Plan B. I don't have a Plan B!" We made it work, and luckily, they were able to have their ceremony indoors at the Reception Site, Union Fish. And, miraculously, the sky cleared and allowed us to take some gorgeous outdoor photos on the pier.